This is one of the first photos from the San Francisco Zoo of the baby giraffe. 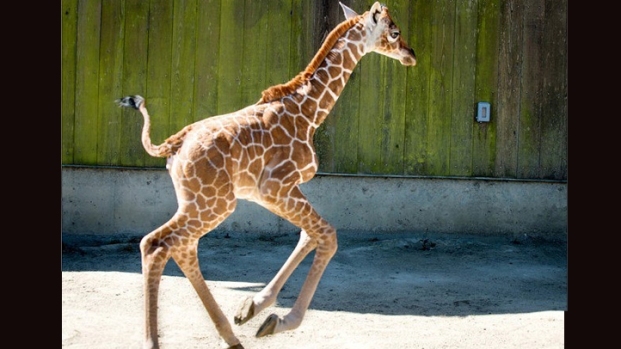 The newest member of the San Francisco zoo is only a week old but already stands six feet tall. On Wednesday May 22, the San Francisco Zoo welcomed a healthy baby giraffe. The zoo released the first photos of the little guy (or girl) Wednesday. The newborn is a reticulated giraffe, which means that it has a unique geometric pattern on its coat. While reticulated giraffes are not endangered, they are still very rare. The mother, 11-year-old Kristin, and calf are bonding privately for now at the Osher Family Giraffe Lodge. 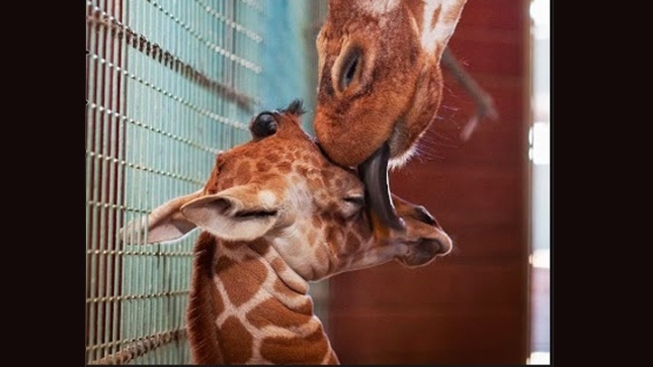 Zoo keepers said the mother will nurse her young for a few weeks, until the two are introduced into the African Savanna exhibit, which is open to the public. Kristin was born in Busch Gardens in Tampa and has given birth to three other calves in 2006, 2007, and 2009. The newborn calf’s 11-year-old father, Floyd, was born in Albuquerque and is the zoo’s only male adult giraffe. Just last week, the zoo took in a baby giraffe from Rio Grande Zoo at Albuquerque, in hopes to increase its giraffe herd. 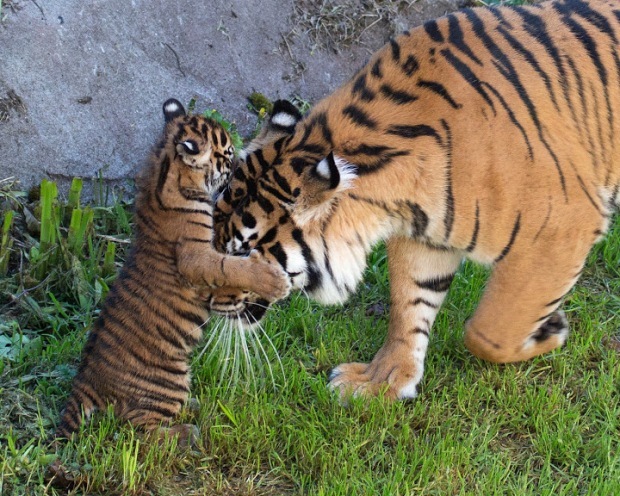 The new giraffe will have to compete for the public's attention with the wildly popular Sumatran tiger cub named Jillian Manus. He was born in February and has been wowing the crowds on the weekends for the past several weeks. It wasn't clear when the new newborn would have its public debut, and for now the zoo is not saying whether it is a he or a she.